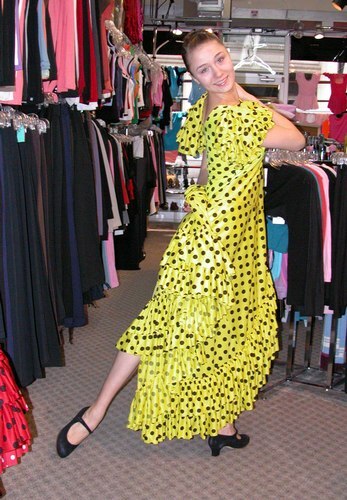 This bright yellow Flamenco dress is just the thing to brighten the mood in any season, but especially if it is overcast or raining. Make your feet match the thunder outside. 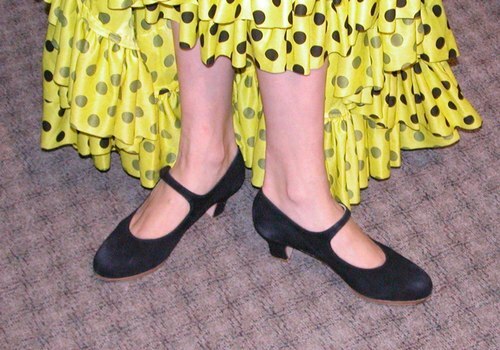 Cecilia is wearing a Yellow Sevillana Flamenco Dress, Style DW899Y, by Star Styled Joanna Designs, $169.95; and Black Ball*Pilmar Flamenco Shoes, Style 523, Distributed by Freed of London, $129.95.